In order to reduce Nitrogen-oxide (NOx) output, many vehicle manufacturers have elected to utilize a Selective Catalyst Reduction (SCR) system. 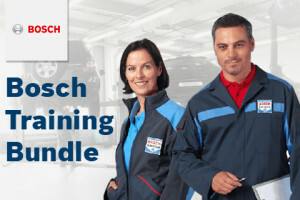 This HD streaming event, sponsored by Bosch will provide the information needed to understand and diagnose passenger car and heavy duty diesel Denoxtronic systems. 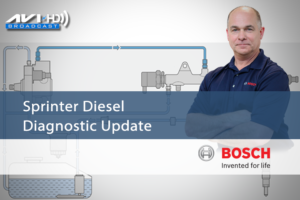 ARCHIVED HD BROADCAST – Exhaust gas after-treatment systems are an integral part of today’s common rail diesel vehicles and understanding how to diagnose and service these emissions control systems is critical for optimal vehicle operation and longevity of these expensive components. 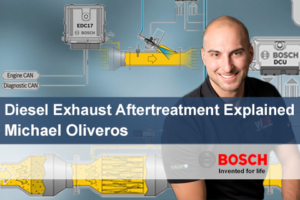 In order to reduce Nitrogen-oxide (NOx) output, many vehicle manufacturers have elected to utilize a Selective Catalyst Reduction (SCR) system. 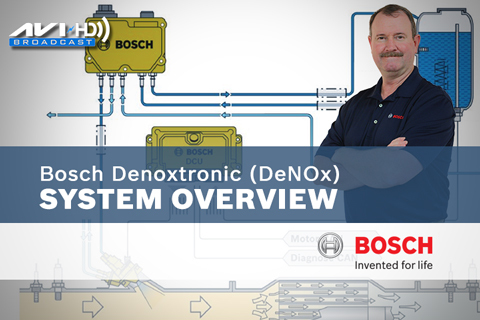 This HD streaming event, sponsored by Bosch will provide the information needed to understand and diagnose passenger car and heavy duty diesel Denoxtronic systems.